Samsung Electronics are on full swing with yet another netbook from the electronics and computer giant. 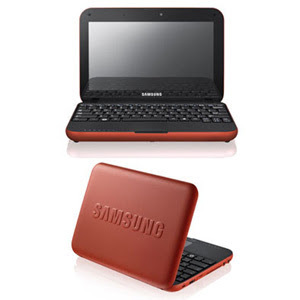 The Samsung Go N130 is Samsung’s recently launched netbook with high featured functionality and amazing portability. This amazing ultra-portable netbook comes with a solid rigid design and high battery life. The netbook features a black colored keypad and inner body with outside body of sturdy orange color. Users apart from the orange colored exteriors can also choose between other colors like jet black, mid night blue and mint blue.